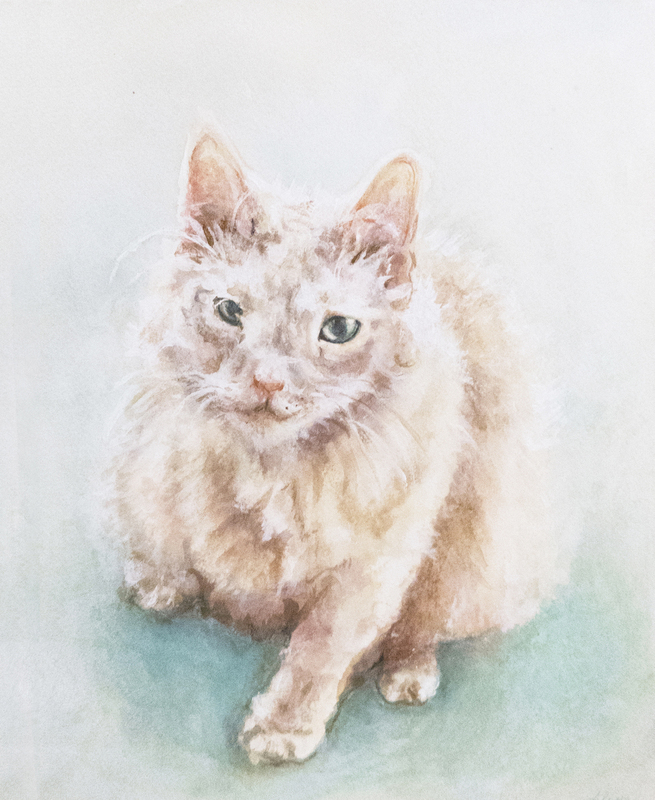 I am available for commissioned work, which often includes portraits of beloved pets! All are welcomed- slimy, feathered, furry, or scaly! "The portrait of my sweet dog that Alina painted brings me so much comfort. She captured his look and personality perfectly." "Omgosh I LOVE IT! It really is everything I hoped for and more." "The picture came out way better than I could have ever imagined." "I could not love it anymore! I can not stop looking at it! It will be treasured forever!" "So amazing to work with! It looks just like the picture I gave her. Highly recommend her!" "The painting of the dogs was a huge hit!! My mother started crying and my dad kept saying how incredible it is."